I usually don't review a lipstick that often (nor do I feel the need to most of the time) unless it's quite unique or has a very cute packaging. The lipstick I'll be reviewing belongs to the second category so you already know of which brand I'm talking about... yes... Paul & Joe! 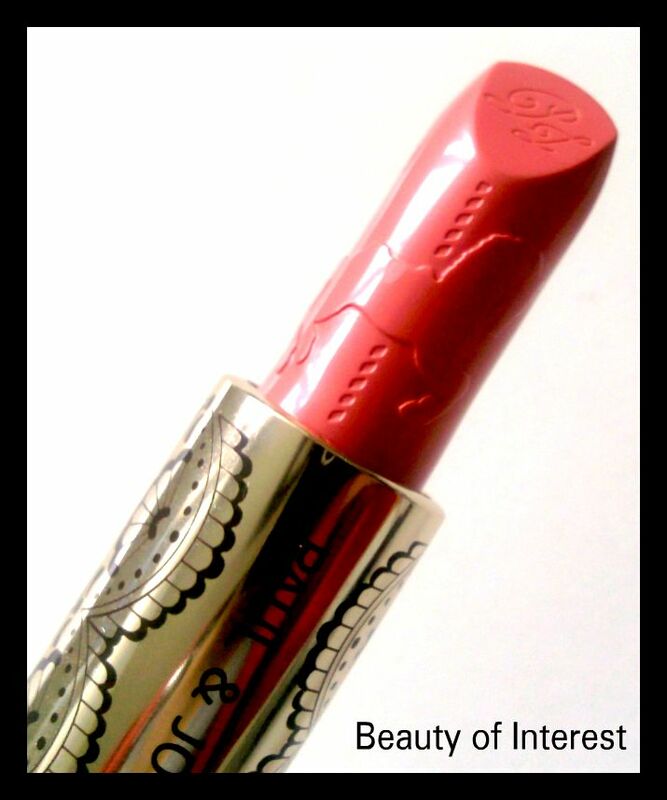 As already mentionned, the lipstick if part of their spring 2013 collection and is called Merry-Go-Round (#079). 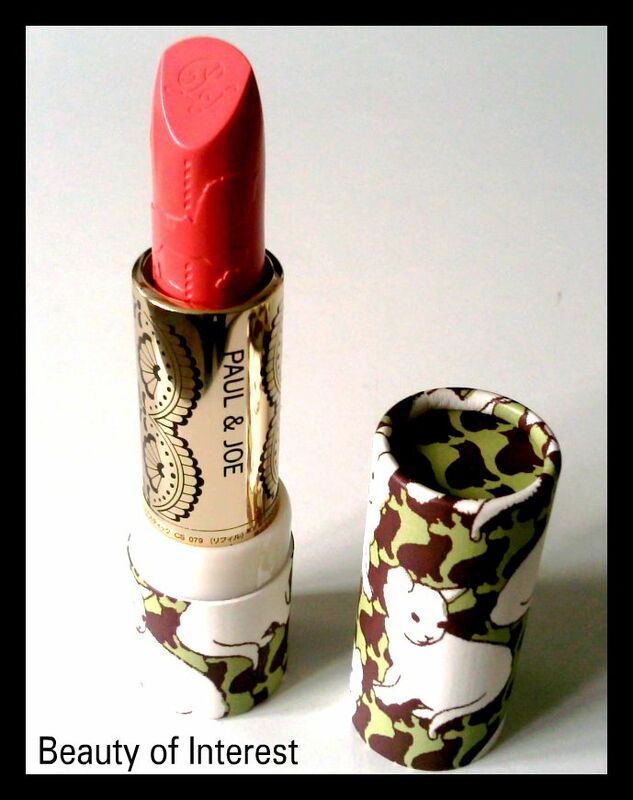 So the interesting thing is that the case and the actual lipstick are sold separately. This way you can keep re-using the cute packaging and just throw about the lipstick container inside of it. 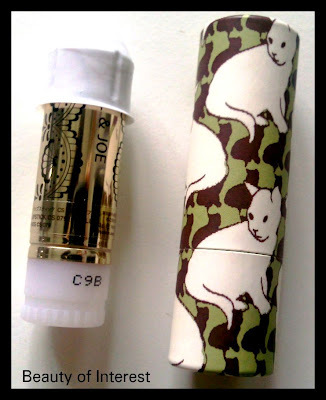 There are 3 different packaging to choose from and I got the one with the cats on it on a green and brown background. Originally I wanted the one with the elephants on a red background but that one was out of stock at that moment unfortunately. The only negative thing I have to say about the packaging is that it's made from cardboard! Yes cardboard which is really not sturdy at all. Although you can re-use the packaging, I don't really believe these will last a very long time especially if you like to carry these in your handbag, make up bag or take them with you when travelling. For the price you're paying for it, I expected a decent packaging made out of some sort of hard material that will not break easily when you take it with you. Okay back to the lipstick. Merry-Go-Round is a gorgeous coral pink colour which will be perfect for spring time obviously. 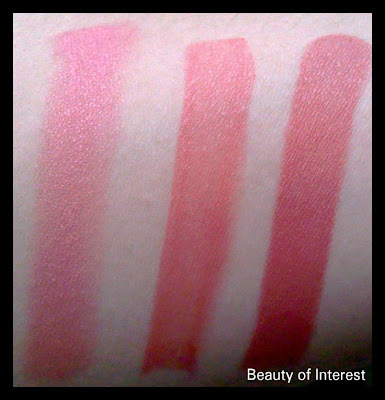 Texture isn't the moist moisturizing but it's quite creamy and fairly opaque although you probably have to build up the colour. From the other swatches/reviews I have seen, all of them agreed that they were very sheer but I don't really agree. This one is quite pigmented and definitely shows up on my lips. The most unique most-have colour? Probably not and I expect most people will buy these just for the luxury of owning a make up item with adorable packaging. 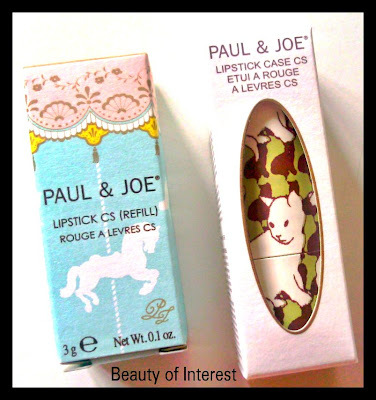 For those who are not really familiar with the Paul & Joe, the lipstick is a great product to try out the brand. I dug up some coral lipsticks and I was surprised that I didn't have a dupe for it. Here are some side by side comparisons. 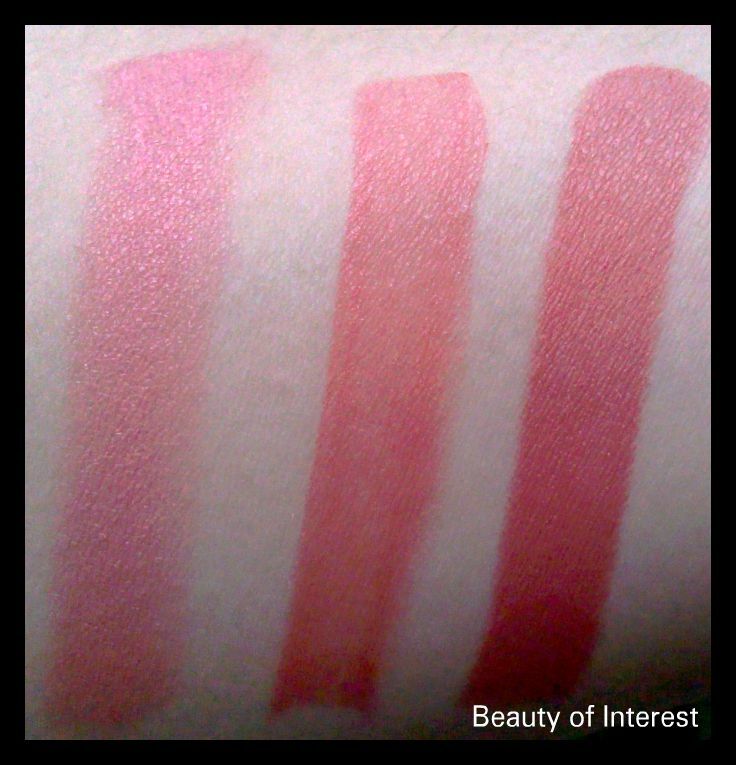 Same swatches in indoor lighting. 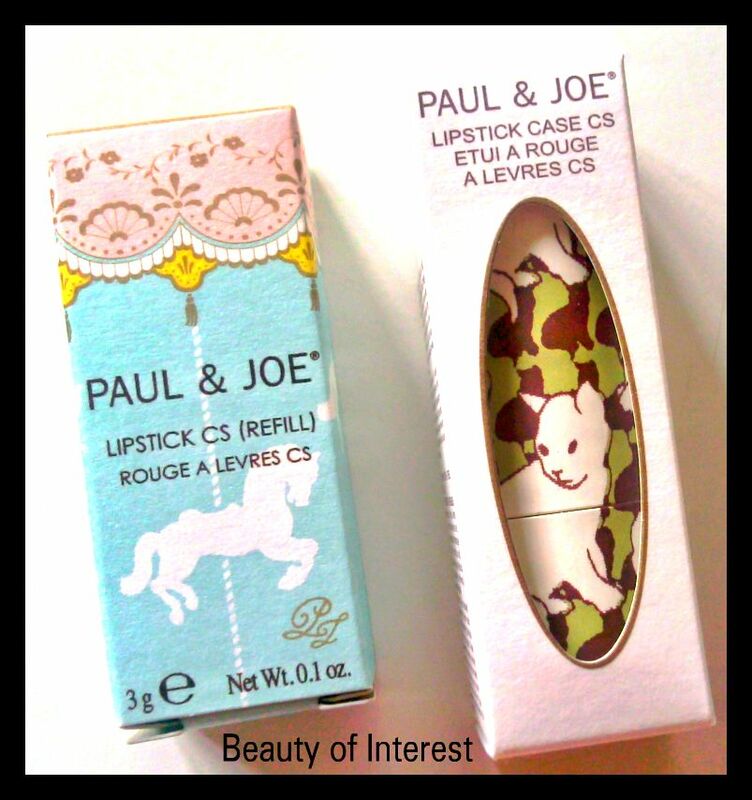 The Paul & Joe lipsticks from their spring 2013 collection retails for $19 USD.each and the case is sold separately for $5 USD. Both can be purchased online at Beauty Habit (US based) with international shipping .